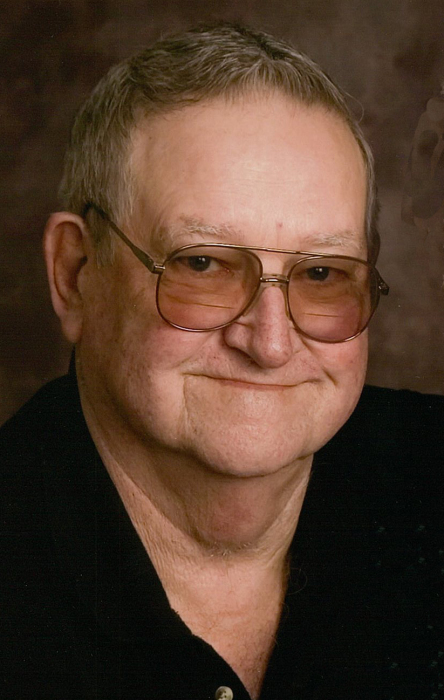 Hastings resident James (Jim) Krieger, 80, passed away Friday, January 18, 2019, at Lakeview Care & Rehabilitation Center, Grand Island. Graveside services with military rites are at 11 a.m. Wednesday, January 23, at Blue Valley Cemetery, Ayr, with Pastor Dale Phillips officiating. A luncheon will follow at Eagles 592. Casual attire is requested. Memorials may be given to ACU at Lakeview Care & Rehab Center or Eagles 592. Visitation will be 12 - 5 p.m Tuesday at the funeral home. Jim was born August 30, 1938, in Exeter, NE to Amon John & Fern Adele (Miller) Krieger. He graduated from high school in 1956. Jim served in the Air Force from 1957-1959. He moved to California and married Pat Czarnetzke. They had a son, James Micheal. They later divorced. Jim moved back to Nebraska. He married Alberta (Cookie) Bieck May 29, 1969. They had 3 children. He worked for Metz Bakery for 28 years. Jim retired because of a medical condition. Jim was an avid fisherman & hunter. He loved to play pool, bowl, watch football (especially NE football), play cards, doing puzzles and traveling. He belonged to Eagles 592 where he was a Golden Eagle. Jim was preceded in death by his parents; step-father, Joe Lehechka; sister, Marilyn Gilbert; granddaughter, Kourtney; 2 brothers-in-law, Frank Caudillo & Richard Morganflash.